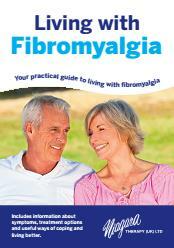 View the Niagara Therapy - Living With Fibromyalgia Guide Online Catalogue Now! Niagara Therapy specialise in providing advice and products to help you say goodbye to aches and pains. 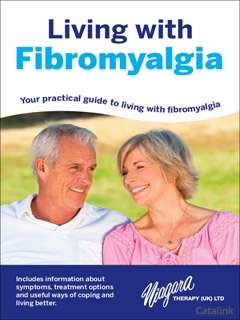 Request the Living With Fibromyalgia guide to find out how Niagara Therapy can help you in relieving your fibromyalgia pain. 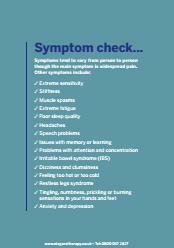 Use the helpful symptom check and establish which care and products can improve your quality of life and reduce symptoms of fibromyalgia. The Niagara Therapy range provides effective pain relief through drug-free NHC Cyclo Therapy®, giving you a deep-penetrating massage effect. 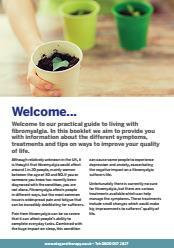 Find out about the treatments and coping aids which can bring you comfort when you request the guide today. All Niagara Therapy products have NHC Cyclo Therapy® massage technology, which allows you to enjoy the benefits of a deep relaxing massage in the comfort of your own home. Flexible settings and controls are designed to deliver whatever remedy you need. Choose a lower setting to relieve aches and pains or a higher setting for a relaxing massage. In the morning you will feel truly invigorated for the day ahead. Request the Niagara Therapy - Living With Fibromyalgia guide now for information and advice to live a free and relaxed life! An Adjustable Bed or a Riser Recliner Chair could be the answer to making your life as comfortable as it should be. Request the Adjustamatic Bed Buyers Guide today for expert advice from health and mobility advisor Dr. Miriam Stoppard. Niagara Therapy provide a wonderful range of products to help you move freely again. Request the Living With Arthritis guide today for helpful advice and a range of products to help manage your arthritis.